Unwanted hairs present on legs, face and hands look unfeminine. They are one of the main cosmetic problems of every woman around the world. Abnormal and unwanted hair growth occurs due to irregular menstrual cycles, certain medications, hormonal imbalance, pregnancy, hirsutism, PCOD and other reasons. The temporary hair removal methods like plucking, waxing and threading are very painful. The permanent hair removal method like laser treatment has its own side effects like radiation and others. But natural home remedies are safe and cost effective too. Here we are going to discuss on gram flour or chickpea flour for hair removal. Gram flour exfoliates the dead skin, sebum and oil from the skin. Similarly, the rough texture of gram flour holds the hair tightly when applied. When you scrub off, it removes the hair from the roots. It clears the clogged pores and deals with ingrown hairs as well. 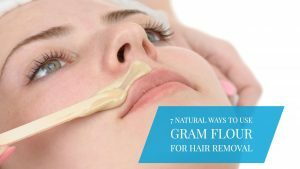 How to Use Gram Flour for Hair Removal? With the below detail description, it is very easy to follow the methods. Choose any of them and try it regularly with patience. In a bowl, combine equal amounts of gram flour and milk. Apply it over the unwanted hair and leave it on for 20 minutes. Scrub off the mixture for few minutes. Repeat at least once in 2 days. Alternatively, you can use water or yogurt instead of milk. Mix 1/4 tablespoon each of turmeric powder and gram flour, 4 tablespoons aloe vera gel, 2 tablespoons of mustard oil, 1 tablespoon papaya paste and 2 drops of any essential oil. Apply the mixture on unwanted hair. Let it sit to dry completely. Using a clean and dry cloth, scrub off the mixture very gently in opposite direction of hair growth. Rinse off the area with cold water and pat dry. If your skin feels dry, apply any moisturizer. Repeat the process 3 – 4 times a week. Combine 2 tablespoons of besan or gram flour, 1 tablespoon of turmeric. Add enough amounts of water to make a thick paste. Apply it on unwanted hair and leave it on for 20 minutes. Wet your fingers and scrub off the application. Mix 2 tablespoons of gram flour, 1/2 teaspoon each of turmeric and almond oil. Apply the mixture and leave it on until it dries. Scrub off the mixture with wet fingers and rinse off with water. Mix 2 tablespoons each of gram flour, lemon juice and 1/4 teaspoon of turmeric. Apply the mixture on unwanted hair and leave it to dry completely. Wet fingers and scrub off the mixture. Mix 1/4 teaspoon of turmeric, 1 tablespoon each of gram flour, wheat bran and yogurt. Spread the mixture on unwanted hair and leave it to dry completely. Using wet your fingers to scrub off the mixture gently. Mix 2 tablespoons each of chickpea flour and sandalwood powder, 1 tablespoon each of mustard oil, milk cream and rose water and a pinch of turmeric. Apply it on unwanted hairs and leave it to dry completely. Gently scrub off the mixture gently in opposite direction of hair growth. Repeat once in a week. Combine 2 tablespoons of green gram flour and 1 1/2 tablespoon of rose water. Spread a thick layer of the paste on unwanted hair. Leave it on for 25 minutes. Wet your fingers and scrub off the mixture. Repeat 3 times a week until you achieve the results. Blend 2 teaspoons each of green gram and fenugreek seeds. Add enough water to it and mix well. Apply the paste on unwanted hair and let it dry completely. Gently scrub off the mixture and rinse off with chilled water. Repeat the process 3 times a week. Bengal gram flour is also known as chana dal flour. This process is effective in removing hair around lips, face, hands and underarms. Mix enough quantities of gram flour, a pinch of turmeric and milk cream. Apply it on unwanted hair and leave it to dry completely. Wet your fingers and scrub off the mixture very gently. Mix 1 tablespoon of gram flour or besan and 1 teaspoon each of cornstarch and sugar. Add 1 egg white into it and whisk to make a fine paste. Apply a thin layer of the mask and let it dry for 5 minutes. Apply another coat of the mixture on it and let it dry completely. Gently rub off the mixture and rinse with cold water. Steam the area before applying any hair removal. As it opens the pores and makes it easy to remove the hairs from the roots. Repeat the methods regularly to remove the unwanted hair. These remedies take some time to show the results to be patient. Patch test on your arm before trying regular treatments. Be gentle while scrubbing, as harshness can lead to rashes and other skin problems. If the application is making your skin dry, apply moisturizer of your choice. We hope you liked this article. If you have any queries or suggestions, write to us in the comments section below. For more articles like this, keep visiting our website. 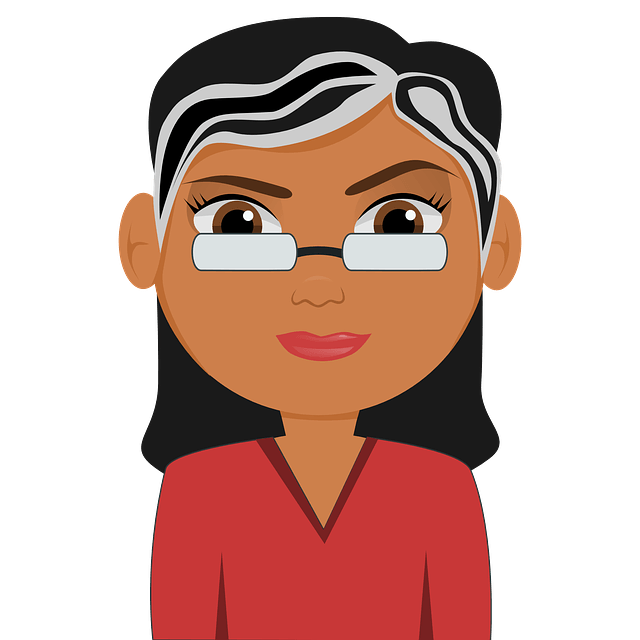 I don’t know gram flour, can I use wheat flour? Is this meant to be permanent hair removal? Or is this simply a substitute to shaving and waxing? It is actually a substitute for waxing or shaving. However, it doesn’t remove all the hair instantly. You have to follow the methods regularly to remove the present hair and discourage new hair growth. After regular use how many weeks does it take to get permanently rid of hair growth? Approximately, how long it will take to fall our facial hair ? I’m a male I used one week continusly this as a face pak it can Remove my beard …? I’m using this method for several tyms, and regularly but no results found ………. !